Due to a shoulder operation in July and a knee operation in November, I have been confined to shore for the last 7 months. However months of intensive physiotherapy are beginning to pay off and today was my first day afloat. 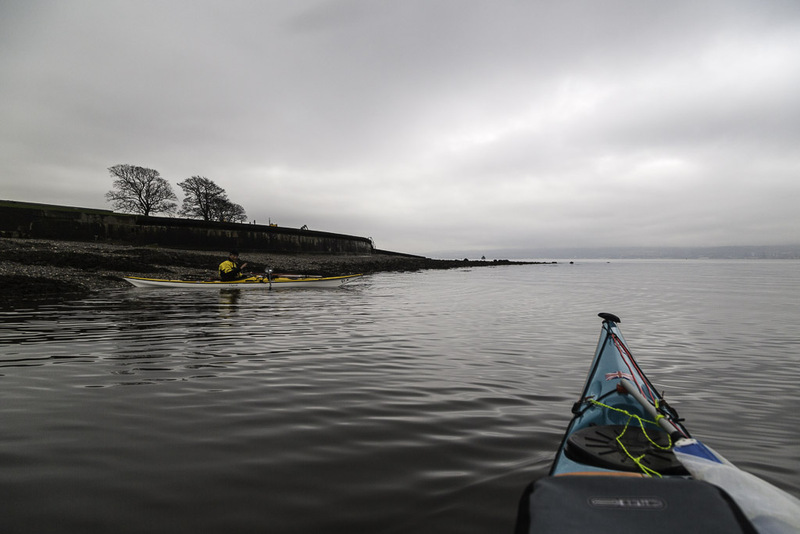 I wanted a nice calm day for a first paddle and also fairly sheltered waters so we set off from Helensburgh on the north shore of the Inner Firth of Clyde. I was joined by Mike in his new P&H Aries and ..
...Phil. It was good to be on the water with them. 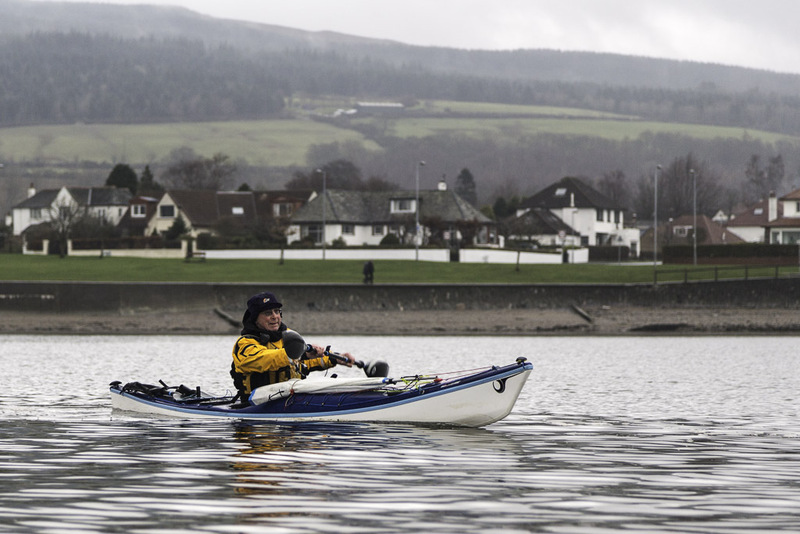 The last time we had been together was back in the beginning of June last year when we paddled round the Mull of Kintyre. The weather on that day was very similar to today's with low glowering clouds threatening the forecast rain. In contrast to the raw unspoiled nature of that trip, we were now surrounded by the towns of the Clyde; Helensburgh, Gourock, Greenock and Port Glasgow. One relatively unspoilt stretch of this predominantly urban coast was that of the Rosneath peninsula. The only sign of building was the mast of the naval degaussing station which rose out of the trees. Its purpose is to demagnetise the hulls of ships and submarines. It is all that remains of a huge WW2 naval base that housed up to 6,000 British and American servicemen. It had workshops, fuel and ammunition dumps, accommodation blocks and even a 600 bed hospital. As we cleared Rosneath Point, the clouds lifted a little and the ferry town of Gourock on the far side of the firth brightened. 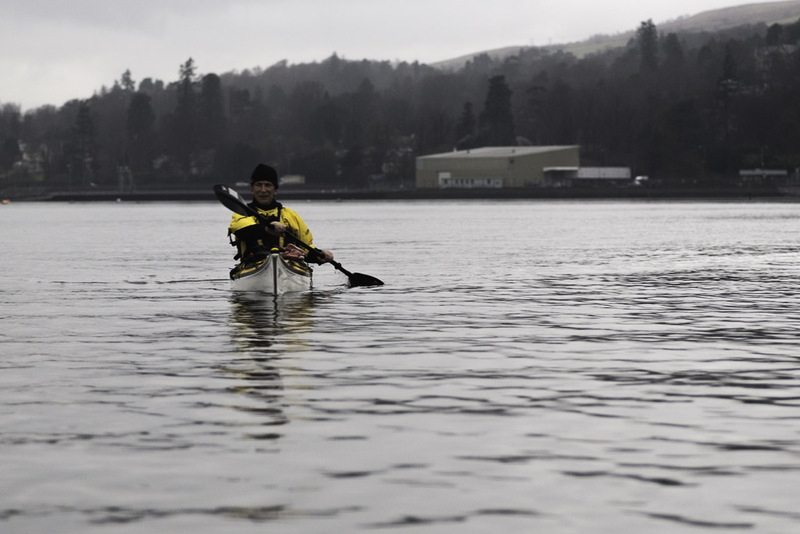 Welcome back to active paddling Douglas. I've been keeping an eye on your blog surprised with the length on time you've been laid up. Take it easy and build up your fitness gradually. All the best! 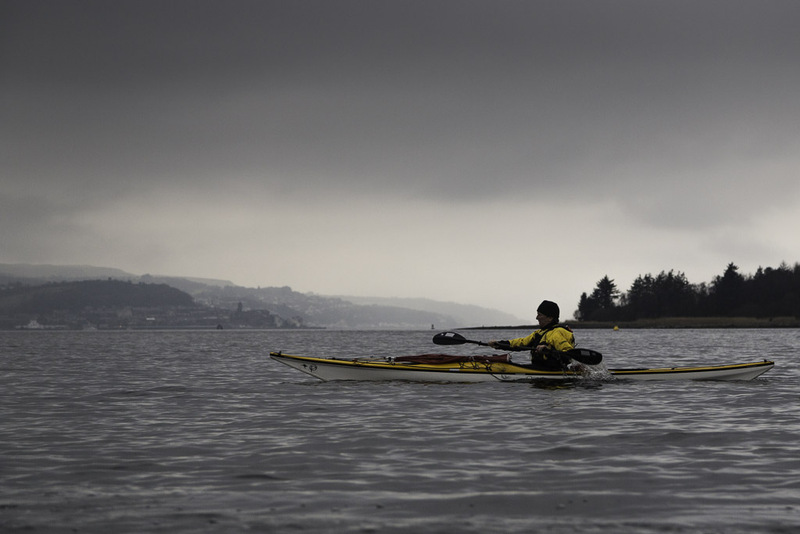 Thank you Tony, I managed 18km in flat calm conditions, back to physiotherapy tomorrow! Paddling conditions have not been good here, it's been blowing a hooley since before Christmas until today! Good to see you back in action. Hope all goes well and look forward to your further adventures. Thank you John, I am tired a day later but very much looking forward to the next trip. Look forward to the next update. 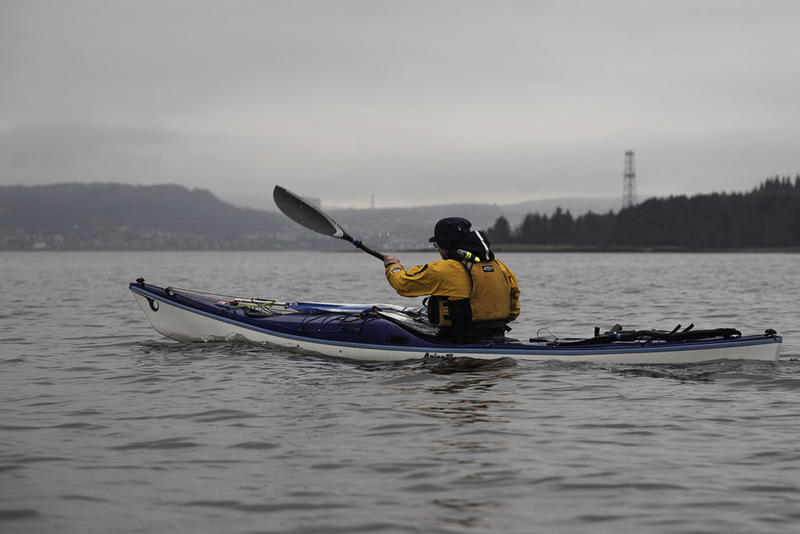 Safe paddling! Thank you Leguma, appreciate your kind comments.